Marti Mitchell Mini Quiltmania Link Up! I'm excited to share with you all the details for entering the Marti Michell Mini Quiltmania competition organised by Gnome Angel and to tell you about all the fabulous prizes on offer! 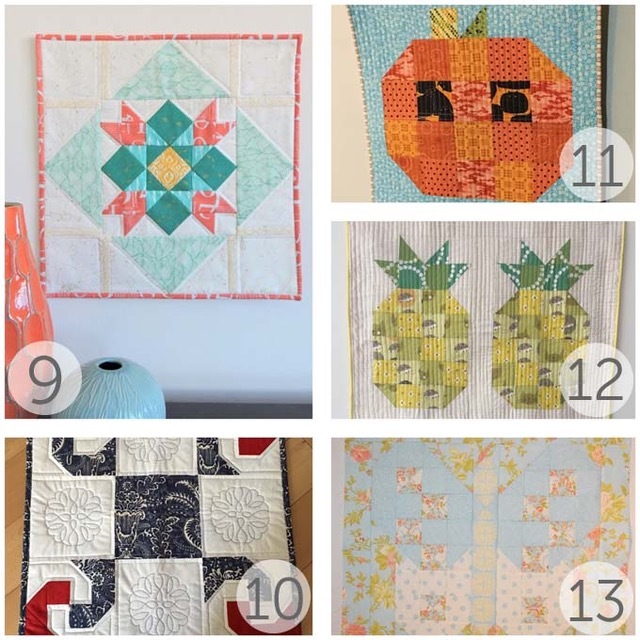 You have two weeks to enter and create your own mini using one of these amazing mini quilt tutorials. There's 13 quilts to choose from with varying degrees of skill required for each. The thing they all have in common is that they use Marti Michell Templates to make. 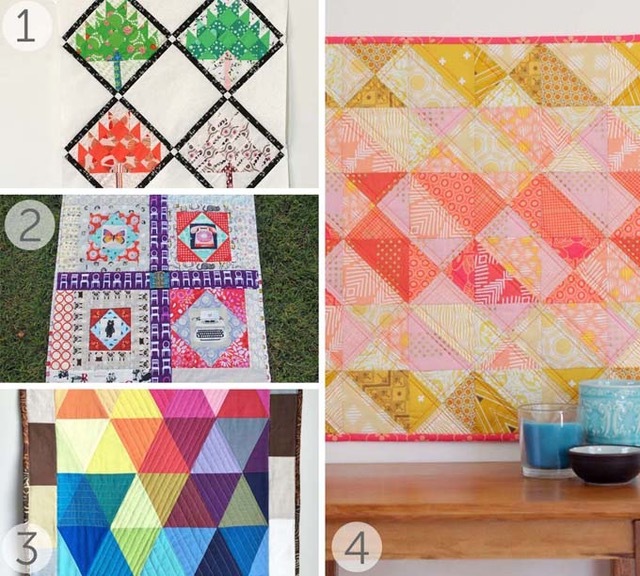 The tutorials for all the mini quilts are ready and waiting, so you can just enjoy making! The lovely lady herself, Marti Michell, is sponsoring a fabulous prize for one lucky winner. You can win a $50 gift voucher to spend online at the Marti Michell shop. This is such a great prize for adding to your template collection and taking advantage of some of the great template pattern books Marti has written. Go window shopping by clicking here. Simply Soilds who are simply awesome are offering one lucky reader a mystery FQ Bundle. If you haven't heard of Simply Solids you need to remedy that quick smart. Here's a little history on Simply Solids for you. Established in 2010 Simply Solids has been providing the UK sewing and quilting community with designer cotton solids in a vast rainbow of colours! We remain as one of the UKs premier destinations for Robert Kaufman's Kona Cotton Solids and our rapidly expanding blenders division is allowing us to introduce many more designer fabrics to our mix. Here you will currently find manufacturers such as Michael Miller, Art Gallery Fabrics, Makower and Riley Blake to name but a few! Still not convinced, check out their Fat Quarter Bundles section and start dreaming about what's coming your way! Click here to drool. 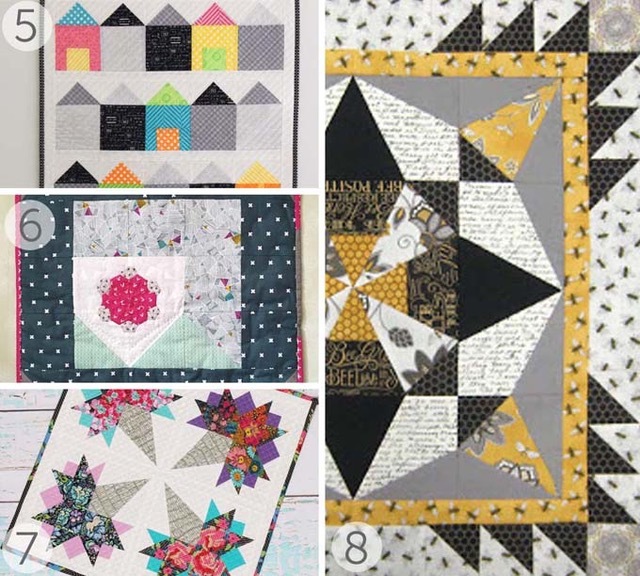 Make Modern is an Australian-based modern quilt magazine written by quilters, for quilters. Make Modern is published digitally which means you can get your copy anywhere. One lucky entrant will win a 6 month subscription to Make Modern. Want to see what you could be reading, click here to see the Make Modern Pattern Gallery.